We offer ideas, tutorials, videos and free patterns to make your own DIY String Art craft, also for kids. Enjoy it! Hey guys! One week left for Valentine’s Day, so it’s the moment of thinking about de DIY and easy gifts that we can male, as this String Ar made by Sofia Loayza. Let’s take a look to this tutorial so we can learn how to make it! 3. The third step it’s to nail the nails ord pins using a hammer all around the elephant or “Love” letters shape. 4. The fouth step is to pass the thread over the edges or borders making a little loop in each one, as you can see on the video. Remember that you can use different colours. And that’s all! It look really nice and it’s a perfect handmade gift to give to your beloved on Valentine’s Day. 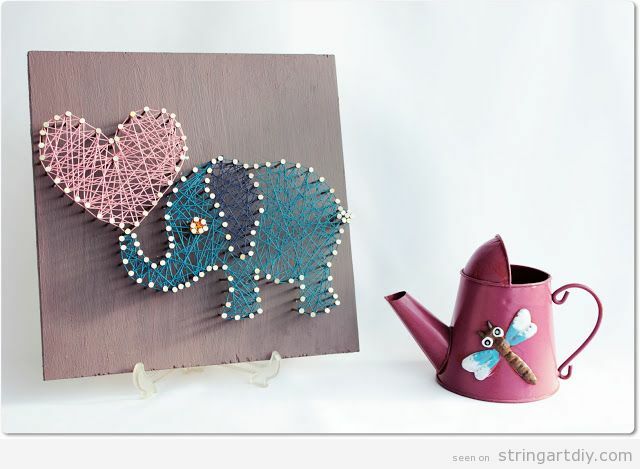 This elephant with a heart on his trunk is a niece piece of String Art to decorate a nursery o a child bedroom. It’s also a nice handmade gift to give to a girl. 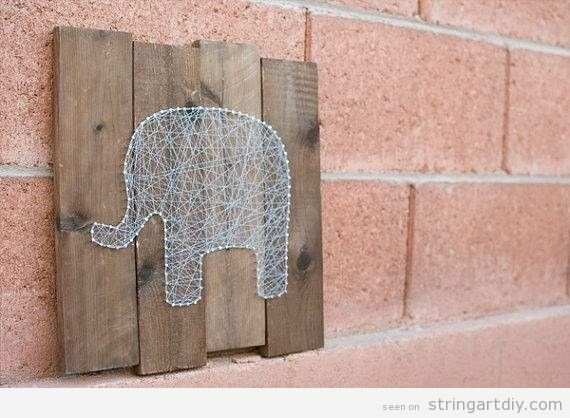 Wow, he is such great and majestic animal… we really love elephants and this simple elephant shaped String Art is lovely. A great piece and a great craft to decorate a wall or to give as a gift on Christmas.